Rev. Jill Hardt Zundel says she's willing to go to jail to protect undocument immigrants from deportation. Central United Methodist in Detroit was among the first in Michigan to publicly declare itself a sanctuary churche (you'll find the full list at the bottom of this article). Central has a long history of activism, fighting for water rights and protesting foreclosures, and has been nicknamed "the conscience of the city," all of which drew Reverend Jill Zundel to this particular church in the first place. 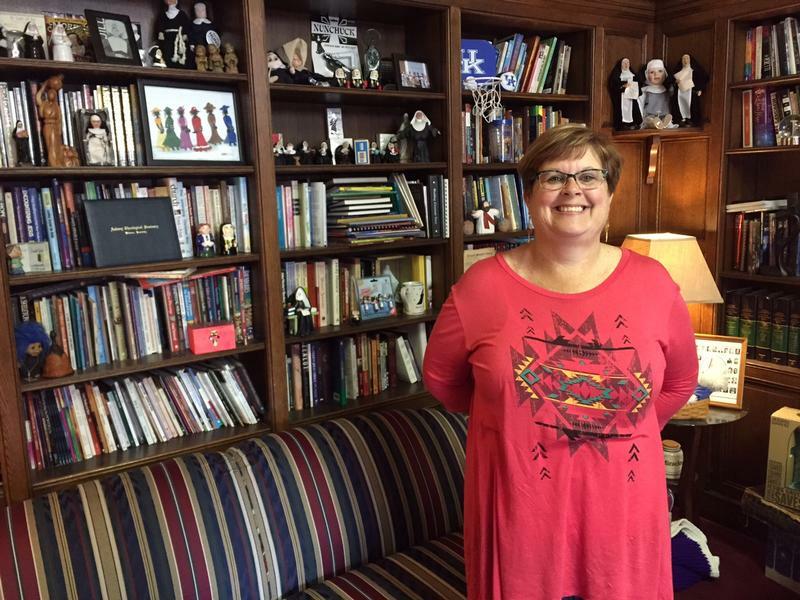 She calls Central her dream church "because it stands up for justice and peace." Zundel's only been at Central United for three years, but she's been thinking about the idea of sanctuary for much longer and can trace it, in fact, to when she was training to volunteer at a holocaust center. She was shadowing a tour guide when someone asked: Where was the church when all this was going on? Zundel says the tour guide looked at her and said, "'Jill, where was the church?' And I never forgot that. And so from that moment on I said 'not on my watch." 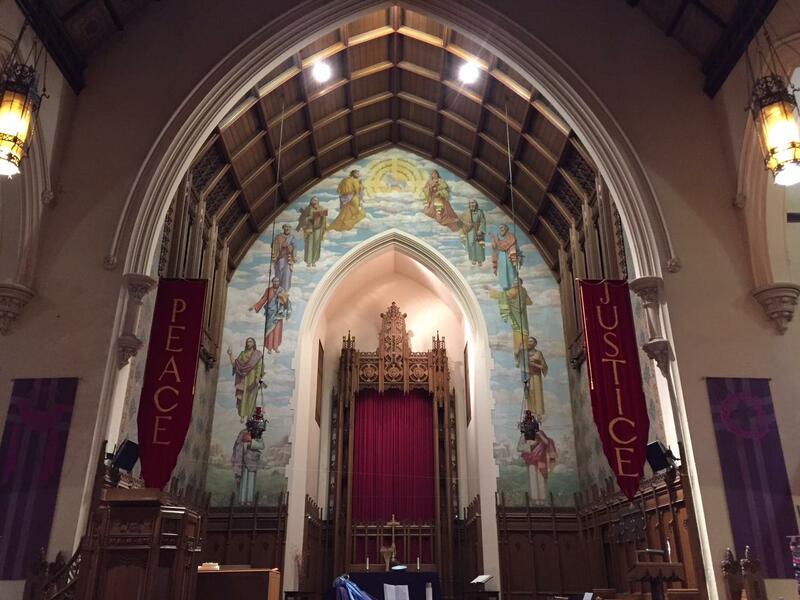 Central United Methodist Church in Detroit has a long history of peace and justice activism. She says the church teaches its followers to welcome in the stranger and protect them, and so earlier this year Zundel and the church's ministry team, or board, voted to become a sanctuary church. That means they’ll provide "food, shelter, childcare, transportation ... whatever a family needs" and protection indefinitely to refugee and immigrant families who are at risk of deportation. Meantime there's already a refugee family from Africa living in the apartment and seeking asylum here in the U.S.; they are not talking to the press at this time. Ideally, Zundel says anyone who seeks sanctuary at her church would want to go public and do a press conference "so the public can understand how this [immigration] policy is affecting local families. But that's up to the families. If they don't want it to be know, we honor that." Rev. Jill Zundel says she's willing to go to jail in order to keep immigrant families together "because I believe there's a greater law than this law." Ruby Robinson is an attorney with the Michigan Immigrant Rights Center, and he says there are some serious issues houses of worship have to consider "if they're truly ready and willing to do the things they feel are just and necessary." Like the issue of harboring, which is a federal offense and carries with it significant consequences. Michigan United, a group that advocates on behalf of undocumented immigrants, has lead a number of sanctuary trainings across the state. Paul Perez, a spokesman with the group, says they've been telling faith leaders that providing sanctuary is "a form of civil disobedience," but that they should be prepared if there's legal pushback. Reverend Jill Zundel sees some "gray area" in current immigration law, and says if the church goes public and lets people know who is receiving sanctuary, "then we’re not harboring them secretly because we’re not hiding anybody." Still, she says she's willing to go to jail in order to keep immigrant families together "because I believe there's a greater law than this law." And she acknowledges that by asking families to go public she's also asking them to, essentially, come out of the shadows. "That’s a scary thing," admits Zundel, "so it’s a fine line of how far you want to go." ﻿Today’s sanctuary movement is being revived by many of the same communities of faith that in the 1980s transported and sheltered up to 500,000 refugees fleeing US-trained and -funded death squads in El Salvador, Honduras, and Guatemala. At the movement’s height, more than 500 congregations nationwide hosted refugees and operated an underground railroad that moved migrants from Mexico to cities all over the United States and as far north as Canada. But not everybody in the faith community thinks churches should be offering sanctuary. 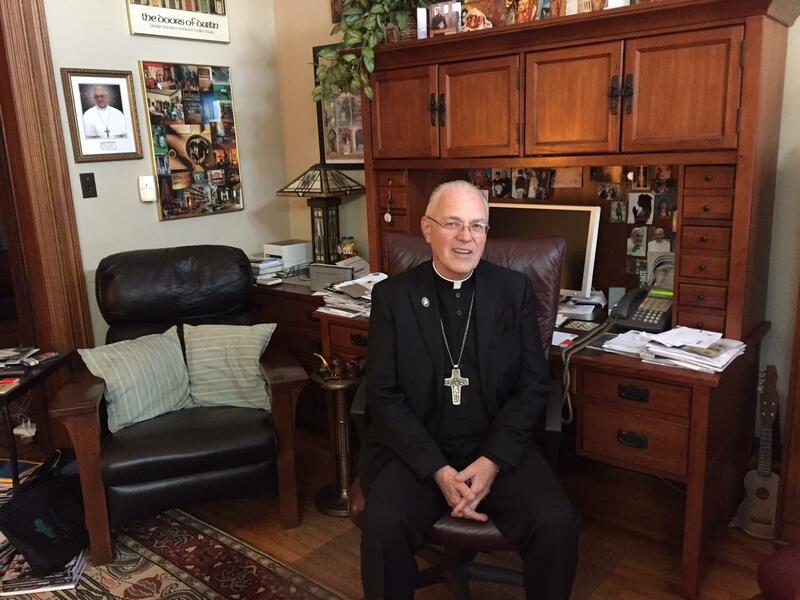 Catholic Bishop Don Hanchon doesn't think churches should be offering sanctuary. "I’d rather that the efforts be directed more toward Congress people and others to moderate a different solution than having people received into sanctuary," says Bishop Hanchon, "because there will come a day when they’ll have to open the doors and say, well, here they are, you can take them. And I think that’s setting people up for defeat." Technically Immigration and Customs Enforcement (ICE) can go into a church and detain and arrest people. But it doesn't make for great optics. ICE generally avoids picking people up at churches and other so-called “sensitive locations” like schools and hospitals. And while much surrounding immigration has changed under the Trump administration, the way ICE deals with sensitive locations remains intact, for now. Birmingham Temple for Humanistic Judaism, Farmington Hills; Central United Methodist Church, Detroit; Ferndale 1st United Methodist Church; Sunnyside United Methodist Church, Portage; 1st Congregational Church, Kalamazoo; Pleasant Grove Baptist, Detroit; Hope United Methodist, Southfield; Metropolitan Zion AME, Detroit (will support other congregations in solidarity, but cannot house).